Phoenix is the capital and most populous city of the U.S. Start off your visit on the 19th (Sun): take in nature's colorful creations at Desert Botanical Garden, then examine the collection at Musical Instrument Museum, and then see Off-Road Tours. For where to stay, reviews, and other tourist information, use the Phoenix online trip maker . The Route module shows you all the different ways you can get to Phoenix. In May, plan for daily highs up to 93°F, and evening lows to 69°F. Finish your sightseeing early on the 19th (Sun) to allow enough time to drive to Sedona. 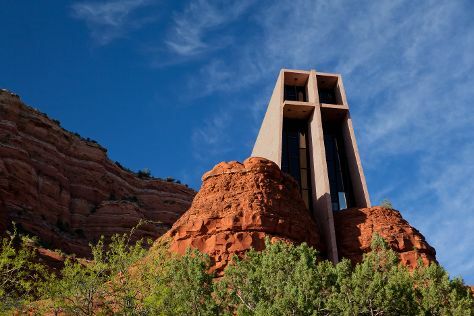 Kick off your visit on the 20th (Mon): make a trip to Sedona Airport Overlook, then hike along West Fork Oak Creek Trail, then hike along Broken Arrow Trail, and finally take in the spiritual surroundings of Chapel of the Holy Cross. Here are some ideas for day two: look and learn at Sedona Star Gazing, then tour the pleasant surroundings at Out of Africa Wildlife Park, then take in the architecture and atmosphere at Immaculate Conception Catholic Church, and finally trek along Doe Mountain Trail. For where to stay, maps, more things to do, and other tourist information, go to the Sedona online trip builder . Traveling by car from Phoenix to Sedona takes 2.5 hours. Alternatively, you can do a combination of flight and taxi; or take a shuttle. Prepare for a bit cooler weather when traveling from Phoenix in May: high temperatures in Sedona hover around 78°F and lows are around 54°F. Finish your sightseeing early on the 21st (Tue) to allow enough time to drive to Grand Canyon National Park. On the 22nd (Wed), take in breathtaking views at Grand Canyon South Rim, stroll through Rim Trail, and then take in breathtaking views at Yavapai Point. Get ready for a full day of sightseeing on the next day: see the interesting displays at Yavapai Geology Museum, take in panoramic vistas at Desert View Watchtower, then take some stellar pictures from Grandview Point, then trek along South Kaibab Trail, and finally get great views at Mather Point. To see maps, traveler tips, and tourist information, read our Grand Canyon National Park trip planner. You can drive from Sedona to Grand Canyon National Park in 2.5 hours. Expect a bit cooler weather when traveling from Sedona in May: highs in Grand Canyon National Park hover around 68°F, while lows dip to 33°F. Wrap up your sightseeing on the 23rd (Thu) early enough to drive to Page. 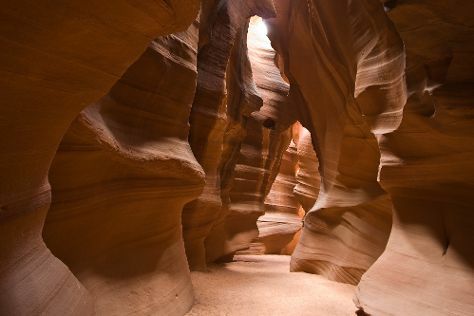 On the 24th (Fri), explore the striking landscape at Rainbow Bridge National Monument, take in breathtaking views at Antelope Canyon, enjoy some diversion at Gunfighter Canyon, then admire the engineering at Glen Canyon Dam, and finally admire the engineering at Glen Canyon Dam Overlook. To find other places to visit, traveler tips, more things to do, and tourist information, use the Page attractions planner . Traveling by car from Grand Canyon National Park to Page takes 2.5 hours. When traveling from Grand Canyon National Park in May, plan for a bit warmer days and much hotter nights in Page: temperatures range from 79°F by day to 55°F at night. Finish your sightseeing early on the 24th (Fri) so you can travel back home.